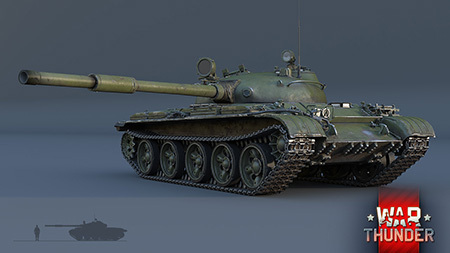 The Soviet T-62 medium tank is one of the most exciting vehicles to arrive with War Thunder 1.61 "Road to Glory"
Let’s meet this new top-tier Soviet medium tank! 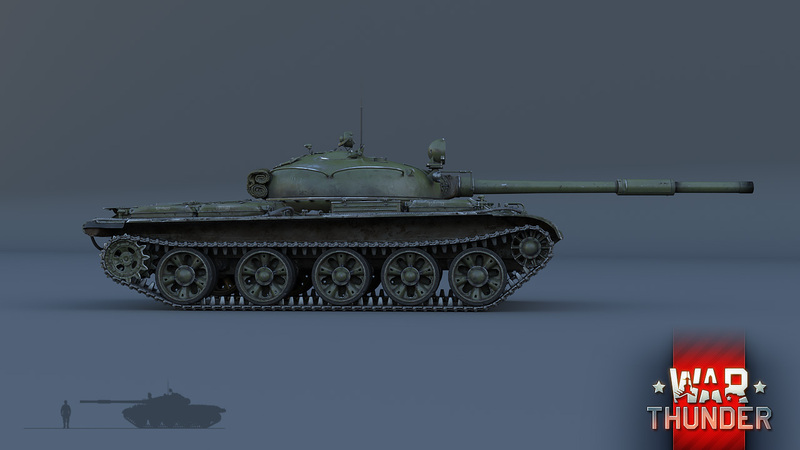 The Soviet T-62 medium tank is the direct successor to the T-55 and T-54, but was, unlike either of them, created to fight directly against enemy armoured vehicles. A tank with a job like this is first of all a cannon – and it was with the cannon that the development of the T-62 began. By the end of the 50s, it became clear that Soviet tanks were no longer capable of confidently fighting the latest tanks from the West on an equal footing. This led to a decision in 1959 to perform experimental design works with a view to mounting a 115 mm cannon in the turret of a T-55 medium tank. After tests in the factory and on the training ground, the vehicle was designated the T-62 and the first series rolled off the production line as early as 1961. The tank turned out to be a great success – roughly 20,000 vehicles of this model were produced, and the several countries friendly to the USSR purchased a license to produce them. 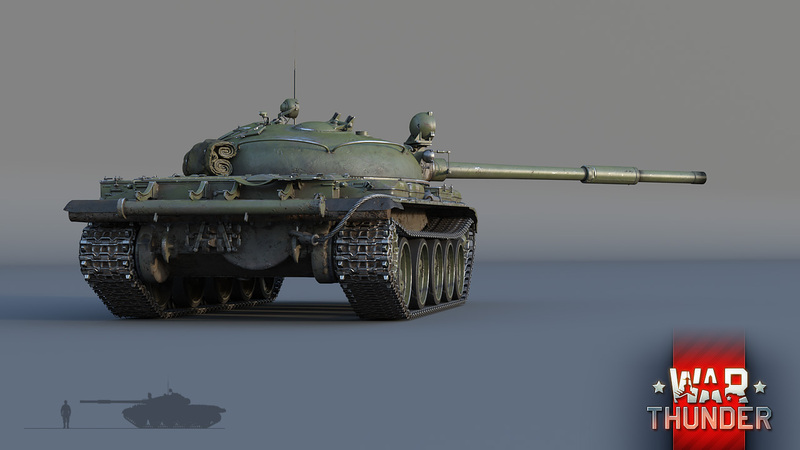 The T-62 has been in the pipeline for War Thunder for a long time, since the tank’s chassis served as a base for several other very interesting vehicles from the Cold War era. One of them, the IT-1 missile vehicle, we presented in a previous update, War Thunder 1.59: Flaming Arrows. 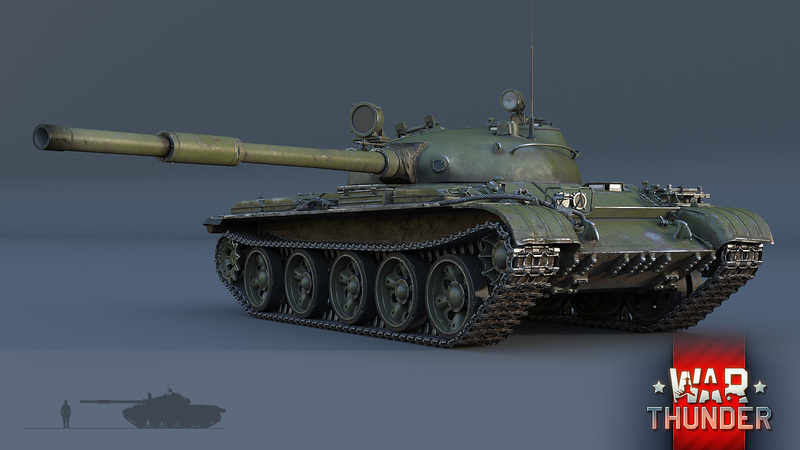 Now it’s time for the T-62 itself to burst onto the battlefield in War Thunder. 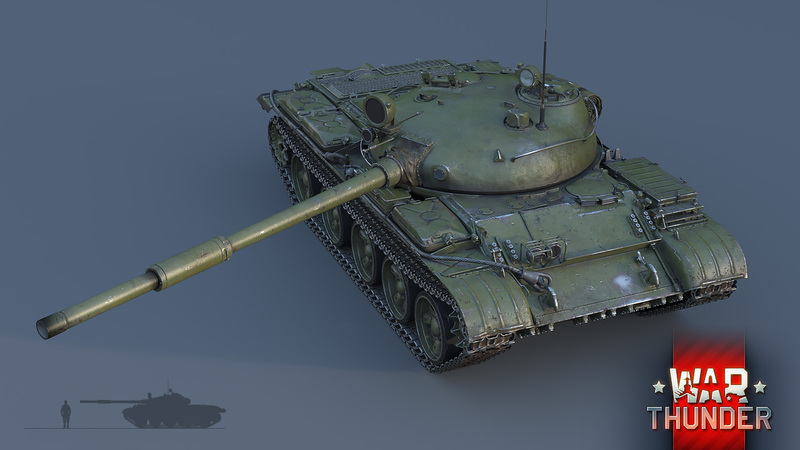 The T-62 will take a top-tier position in War Thunder in the Soviet medium tank tech tree, immediately after the T-54 tanks. The T-62 has identical armour to the T-54 and comparable mobility, but a more powerful cannon, with two types of armour-piercing fin-stabilized discarding-sabot shells (APFSDS), high-explosive shells, and of course, hollow-charge non-rotating shells with the ability to pierce armour up to 440 mm in thickness. The high caliber of the cannon has its cost in the form of increased reload time, amounting to a 12 seconds for an experienced crew. The T-62’s chief opponent in the game will be the top-tier tanks of the US and Great Britain, primarily the M60, M60A1 and the Chieftain Mk III, each of which has its own advantages and disadvantages in comparison to the T-62. As for which tank is to become the most effective in high-ranked battles, that’s up to the players – to the front, tankers! See you in War Thunder update 1.61 "Road to Glory"! It is beautiful. Cant wait to kill some capitalist with this thing ))). But since you mentioned it, do we also get the T 55 ? Layin_Scunion, You can find out how wrong you are even by visiting the humble Wikipedia. If you want to know how REALLY wrong you are you can visit a website dedicated to armor and check all their differences. We should. It would be simply stupid to jump from the T-54 to the T-62. 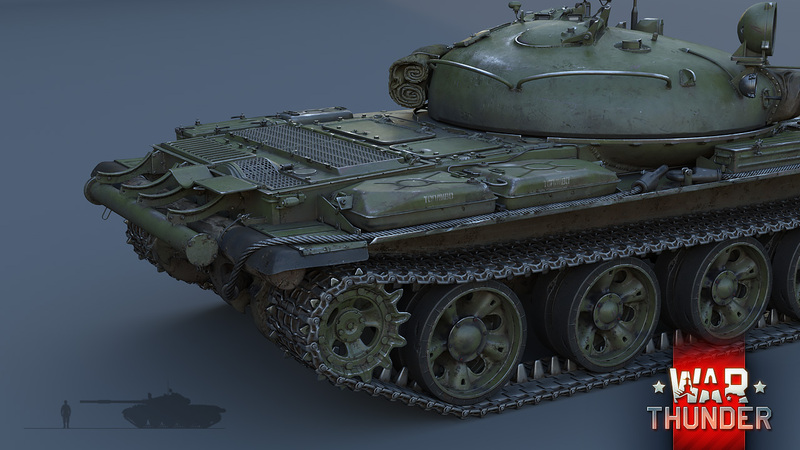 The T-55 isn't just the same tank with different name, it has many upgrades and it's the tank that's still in service today, not the T-54. I don't think Gaijin will skip it, they know better than that. This is a nice addition to the game. I was wondering if Germany will also be receiving a new top end tank too? kololz, hahahahahahahaha, yea keep dreaming. Why not premium? Like brumbär? AZZA_Chan, *holds M46 Tiger" It's okay, he doesn't mean it, your a tier 5.